Yesterday was Kim's Creative Spaces installation of 'love and unity'; and if you check out this post by Noela you can see just how beautifully it turned out. I could not get over to Montville this afternoon to check out how Christine Elcoate and Jim Cox's Glossy Black Cockatoo (GBC) mask and wing making workshop which was to culminate in a 'flight of cockatoos'. But I did go earlier today to see how things were going regarding the making of masks and wings. 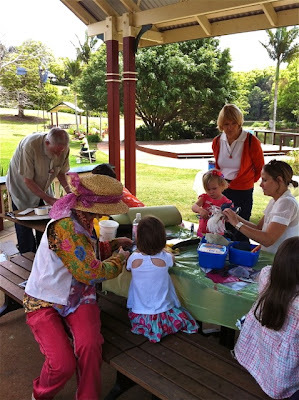 From the following photos you can see that there was a great group of children and parents working with Christine and Jim when I arrived. 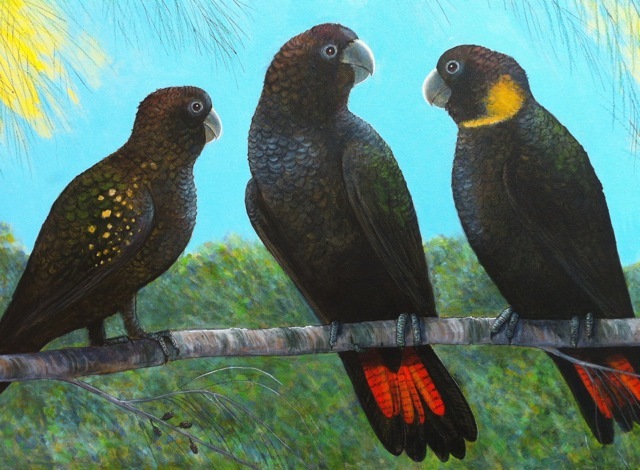 Jim provided a beautiful painting of the Glossy Black Cockatoo to provide inspiration of the children. 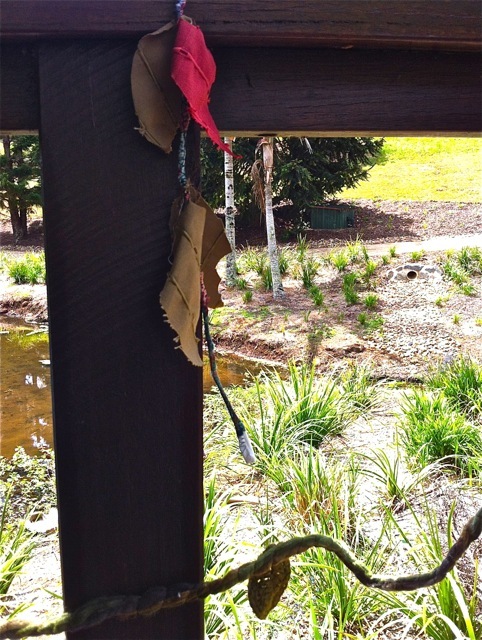 And Christine's fibre vine and leaves were just gorgeous on the railings. I'm sure Christine or Noela will give a bit of an update on the later stages of this placemaking event; and better photos given mine were taken with the iPhone. 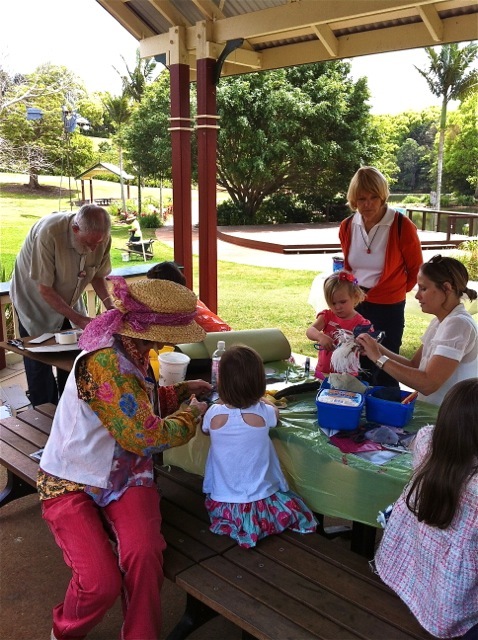 All photos of children were taken with parents' written permission. I look forward in seeing more images and Christine's footage. Wow, Jim's painting is fantastic! 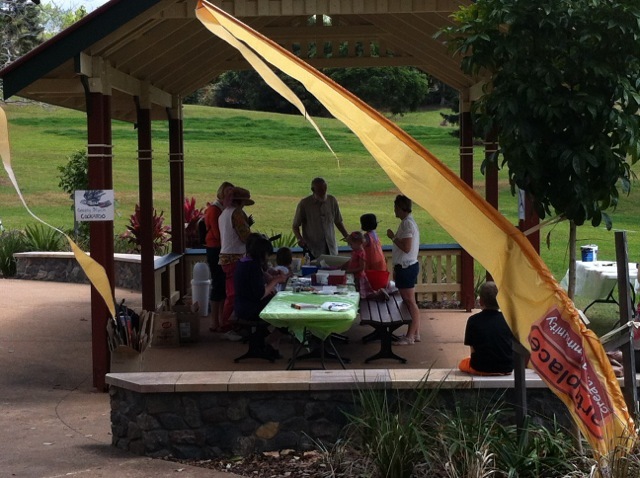 art4place is a community enterprise dedicated to the promotion, design, development, coordination and management of community and placemaking art in the Sunshine Coast Hinterland of SE Queensland, Australia.